A few of the other herbs I planted last year are also still alive. 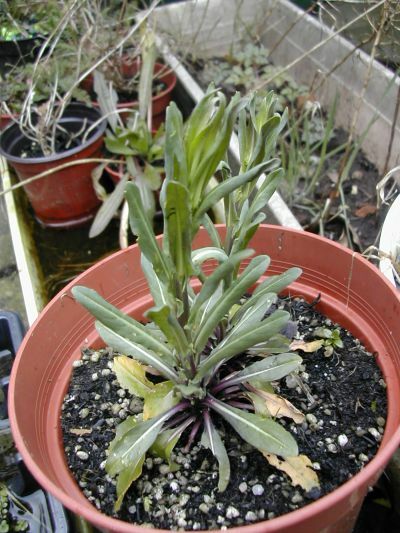 Here is the only woad plant which escaped the slugs’ depredations. The other two which germinated were in the garden but I kept this in a pot. It has begun to shoot up in the last week or so. Last year it stayed in a low crown shape. Too accessible to slugs obviously. 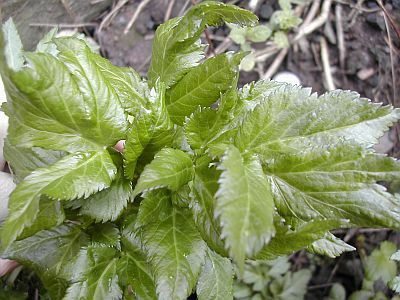 I must try and collect seeds from it this year or hope it self seeds or this will be the end of my attempt to grow woad! You really are knowledgeable where plants are concerned Liz. my mother was a very keen gardener, but I’m afraid I’m quite glad I don’t have to worry about the garden any more. I do love houseplants though. 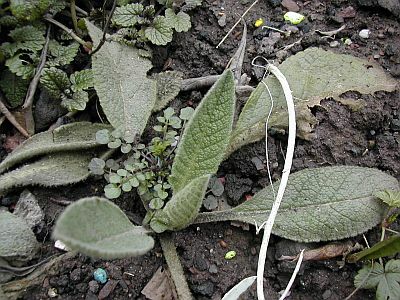 I have ordered seeds for woad – going to grow it to do natural dyeing. But, what do you use these herbs for – cooking or ???? I’m always interested in hearing about different herbs, what people use them for, etc.